GWR 45XX Class 2‑6‑2T No. 4566 in pristine condition at rest near to the ashpit at Bewdley on the Severn Valley Railway on 4th January 2009. A once longstanding inmate of 83G Penzance, No. 4566 was transferred to a final home at 83D Laira (Plymouth) in September 1962. After many years of rotting away in Barry Docks it was rescued by the SVR in 1970. GWR 45XX Class 2‑6‑2T No. 5526 in charge of an auto‑coach in the tranquil setting of Toddington station on the Gloucestershire & Warwickshire Railway on a warm and sunny 23rd May 2009. Allocated to the sheds at 83F Truro and 82D Westbury during its latter years of service, No. 5526 spent over twenty years at Barry Docks before being saved in 1985. GWR 14XX Class 0‑4‑2T No. 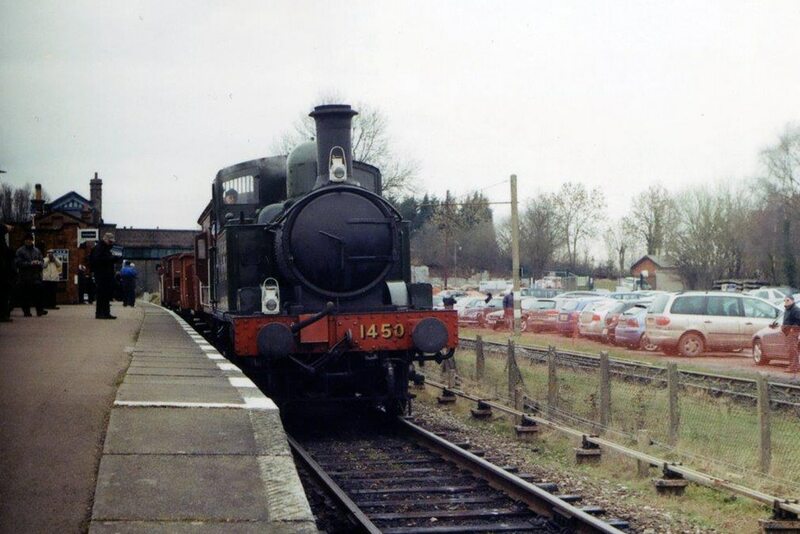 1450 rattles a short goods train through Quorn & Woodhouse station on the Great Central Railway on 26th March 2011. Once of 81B Slough, 81F Oxford, 83C Exeter (St. Davids), 83B Taunton, 83E Yeovil and 83D Exmouth Junction, No 1450 was sold into preservation on the Dart Valley Railway in June 1965 shortly after withdrawal. 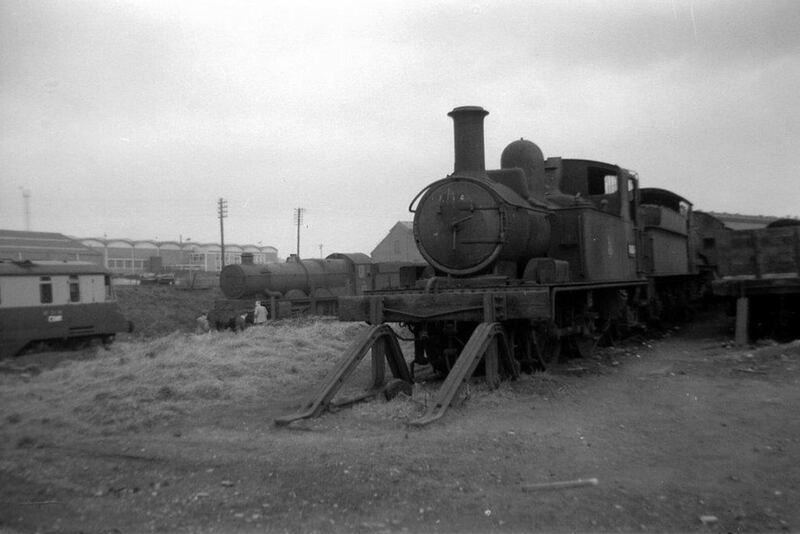 The condemned combine to create a bleak scene at Swindon Works on 28th April 1963. At the forefront is GWR 58XX series 0‑4‑2T No. 5815 behind which are GWR 43XX Class 2‑6‑0 No. 5385 and GWR 51XX Class 2‑6‑2T No. 5101. 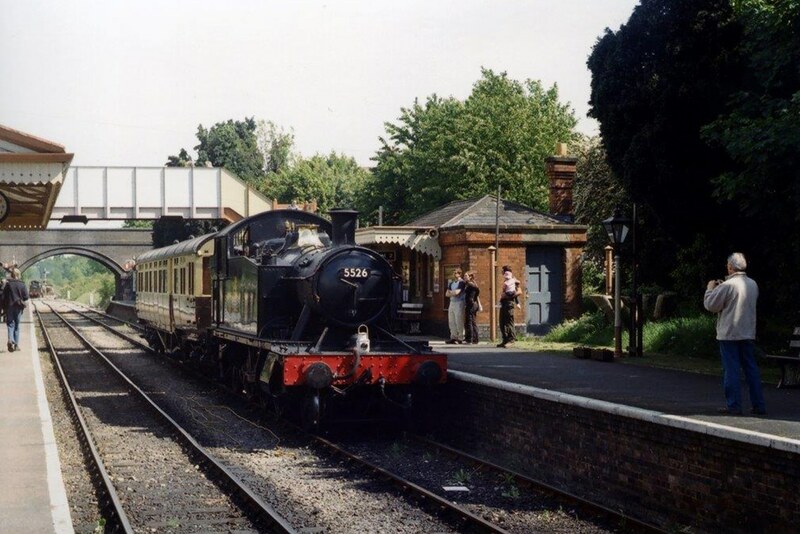 In the left of the frame is GWR railcar W21W and in the centre is GWR Castle Class 4‑6‑0 No. 5067 St. Fagans Castle. There are no known additional amendments or queries appertaining to the disposals of the GWR 45XX & 14XX Classes of locomotives, but any information to the contrary will be welcomed as would any confirmations or otherwise of verifications required. Author’s Note: Discrepancies between the monthly withdrawal dates as published in the 1981 edition of WHTS Volume Twenty and the updated versions online are negligible. Note: Thanks to the unearthing of a plethora of fresh information contained within the pages of railway publications and sightings from correspondents since my WHTS website came on stream a few years ago the knowledge gleaned from both sources has placed me in a situation whereby I can provide the reader with much improved data with reference to storage locations/dates than I was initially able to provide in my 1980’s series of WHTS booklets. I hope this streamlining will add to the enjoyment of the existing chronological sequence of events appertaining to What Happened to Steam – Volume Twenty. Peter Hands – October 2017. 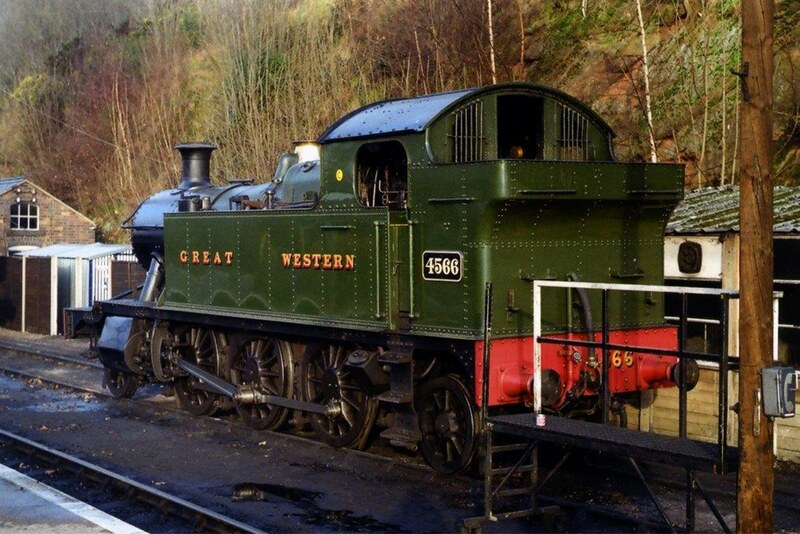 To add to the interest of enthusiasts of former GWR steam locomotives, last recorded Heavy General Overhauls and total mileages (as at 28.12.63 or upon withdrawal) – where records are available – has been incorporated in WHTS Volume Twenty. Peter Hands – September 2017. The source quoted for withdrawals and disposals are those the author has used when re‑checking the original WHTS entries. In the event of any discrepancies the author will again welcome concrete information appertaining to the same. q Query. Sources show conflicting information, more evidence is required. a Amendment to original WHTS entry. i A note or an explanation. o Locomotive observed at given location and date. c A photograph taken of the locomotive at given location and date. Entries marked (WHTS) indicate the entry as published in the last edition of WHTS. Any information to the contrary will be welcomed. Please contact us by clicking on the 'Feedback' button ‑ visible when hovering the mouse cursor over the required locomotive record ‑ or alternately, you can contact us using our 'Contact' page. Once submitted, the information you provide will be assessed and where corrections are confirmed, full acknowledgement will be referenced.